Collaborative educational musical project bringing together Catholic School bands. 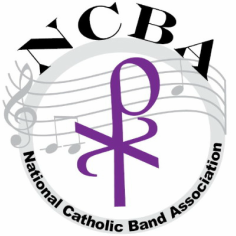 The National Catholic Band Association is an organization of Catholic parochial school ensembles, directors, teachers, and schools to promote quality music education within a Catholic School setting. work to establish high musical, educational and ethical standards in our programs. enjoy the benefits of cooperation and coordination among all Catholic school bands. develop musicianship, creativity, and collaboration without physical boundaries. join together in a mass performance of the music virtually online.